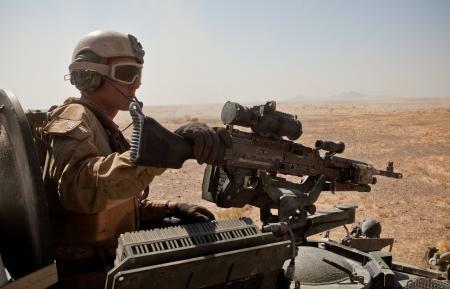 Marines in at least two more units downrange this summer may be home in time for turkey. Second Light Armored Reconnaissance Battalion, out of Camp Lejeune, N.C., has been replaced in Afghanistan by 1st LAR, out of Camp Pendleton, Calif., Marine officials in Afghanistan said. They’ll likely continue the mission LAR units have manned for years, patrolling the deserts of southern and central Helmand province to prevent insurgent movement and activity. Echo Battery, 2nd Battalion, 12th Marines, out of Marine Corps Base Hawaii, also is heading home, officials said. The artillery unit will be replaced by Pendleton’s Echo Battery, 2nd Battalion, 11th Marines. Echo Battery 2/12 was active this fall in Operation Eastern Storm, in which Marine forces pushed north from volatile Sangin district to the Kajaki Dam. Oorah Highlanders! Tip of the spear!